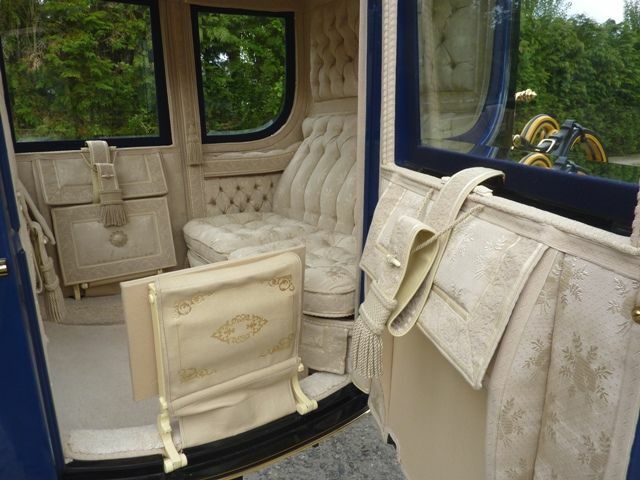 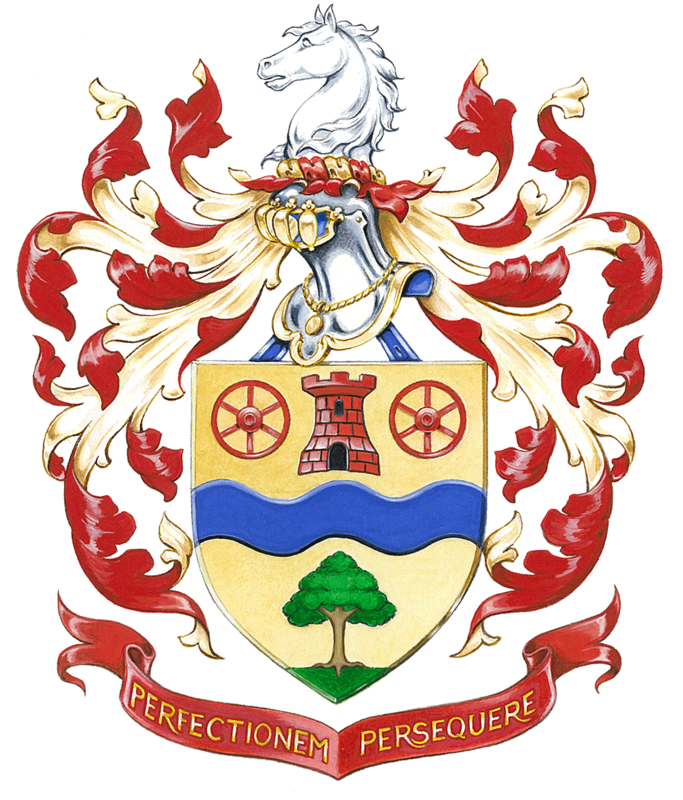 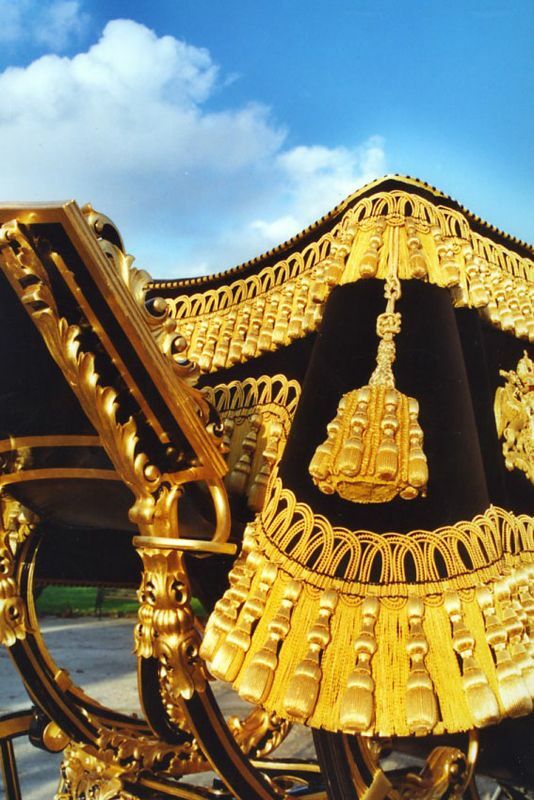 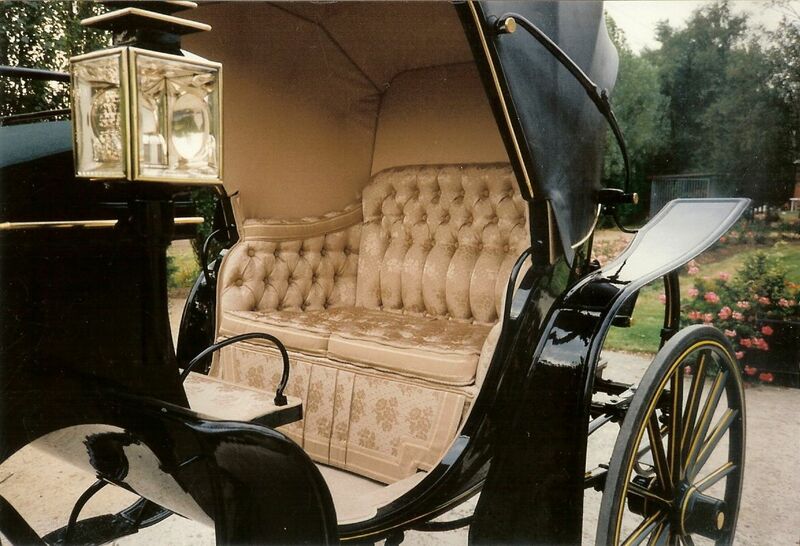 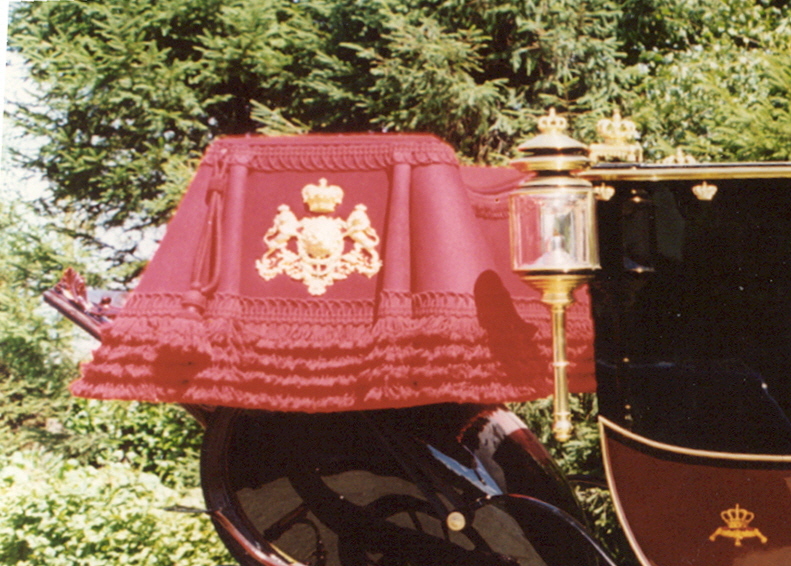 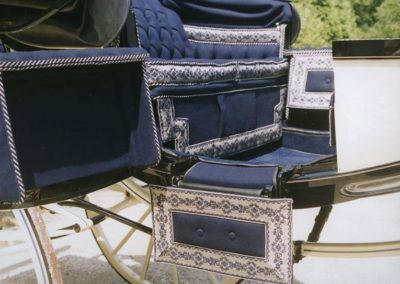 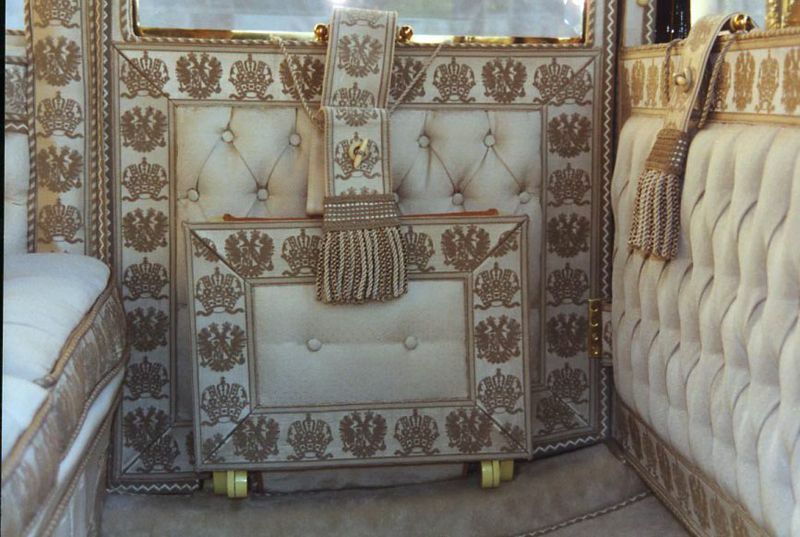 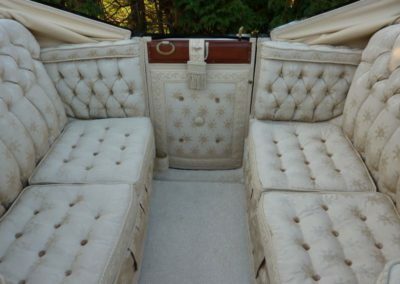 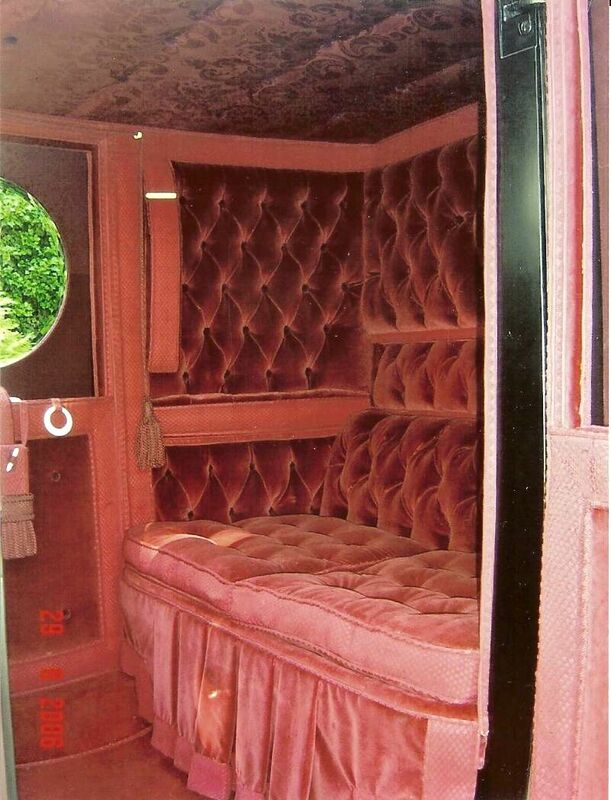 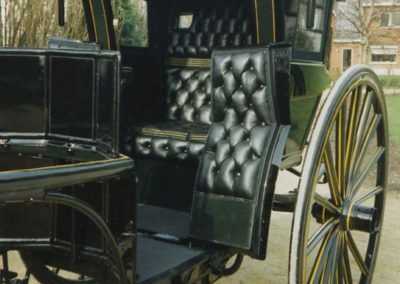 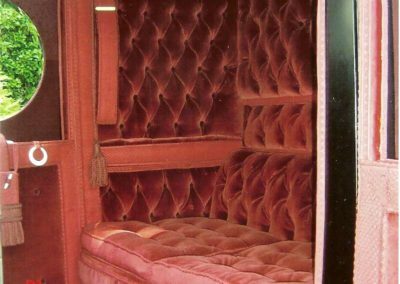 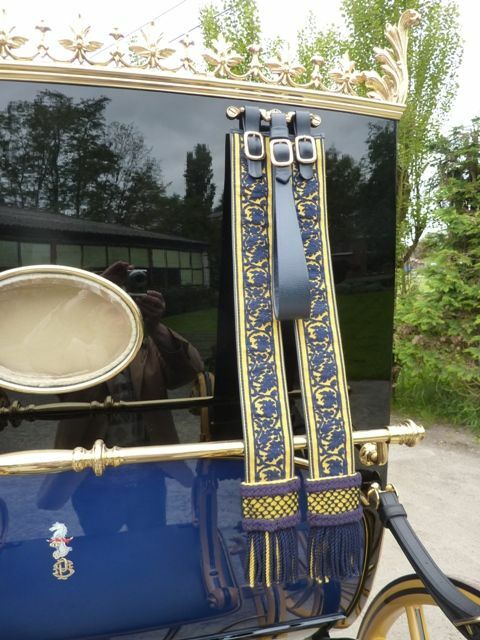 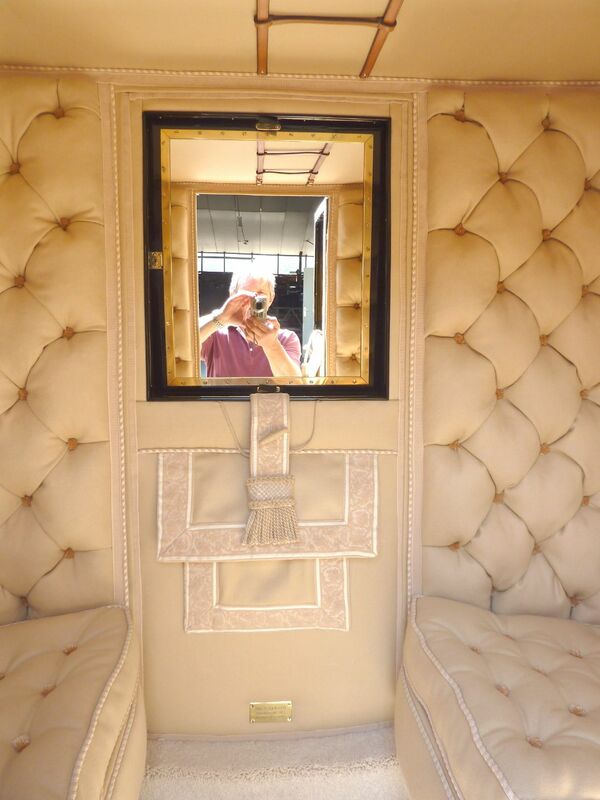 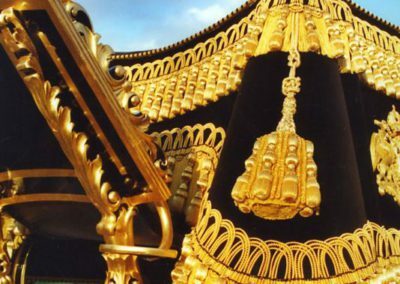 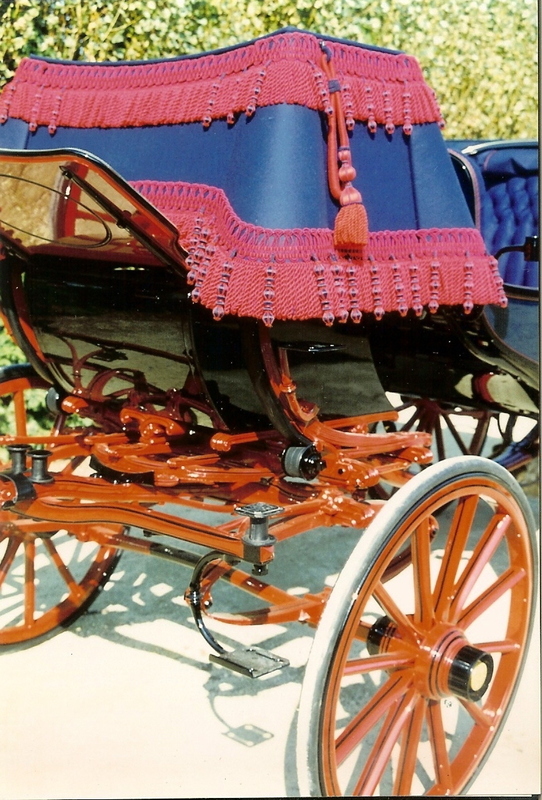 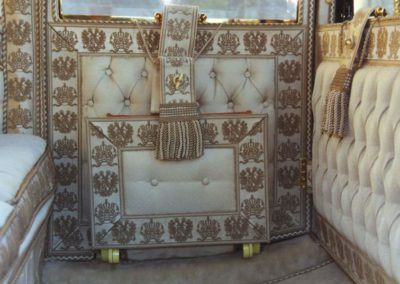 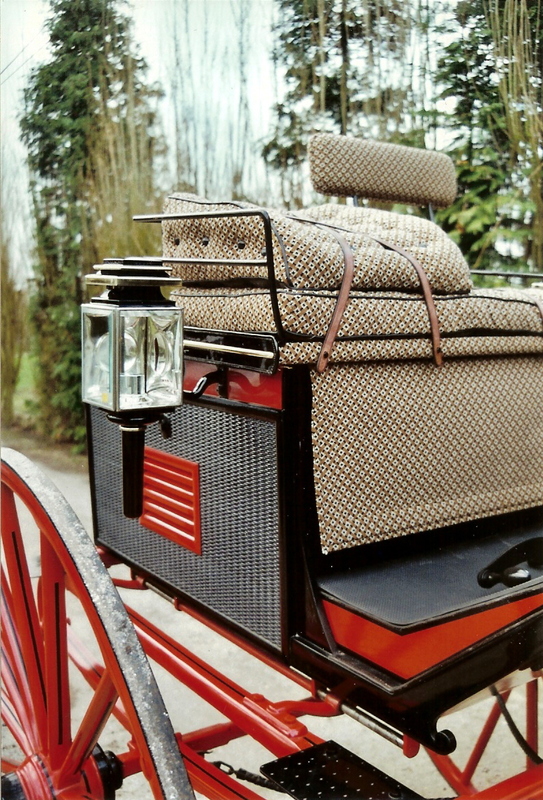 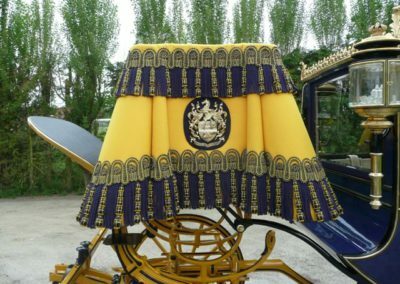 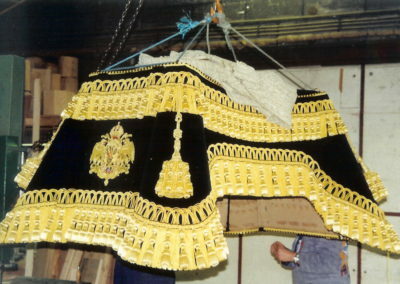 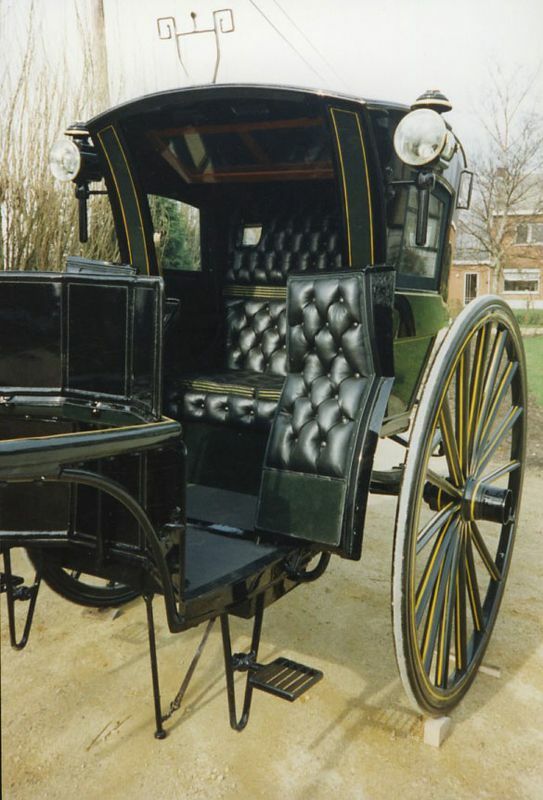 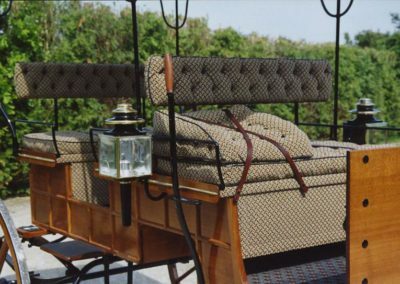 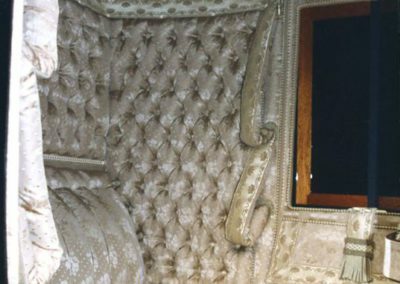 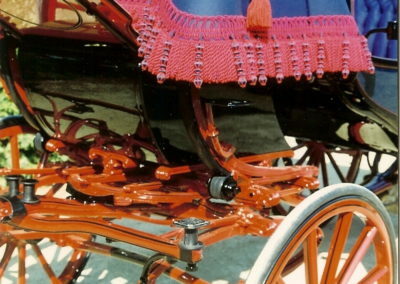 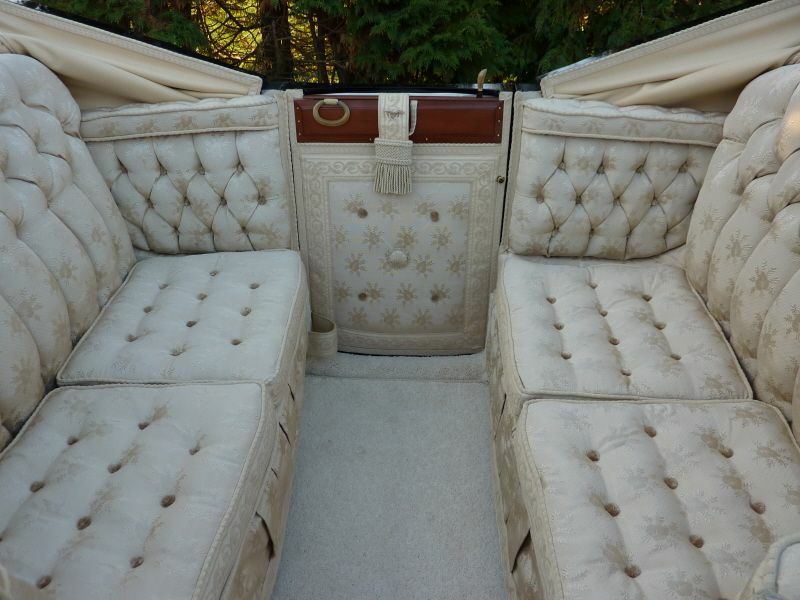 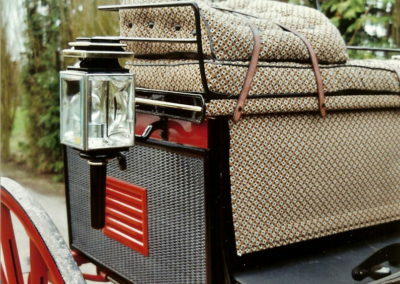 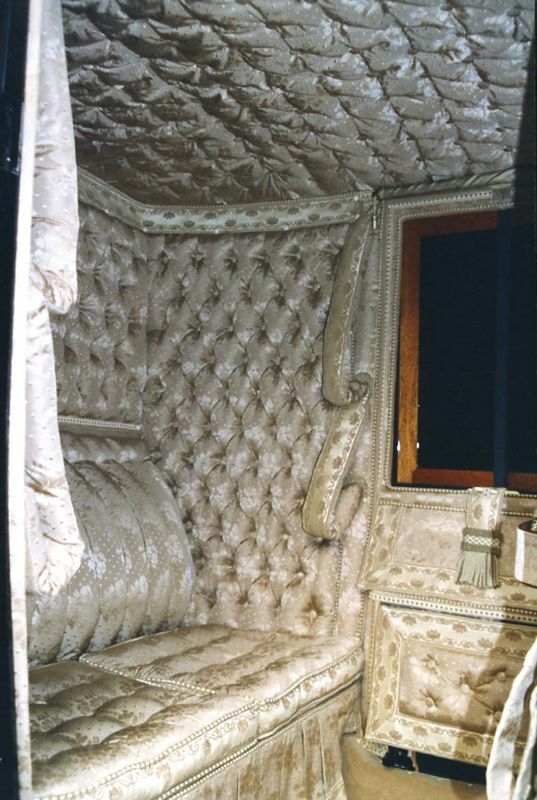 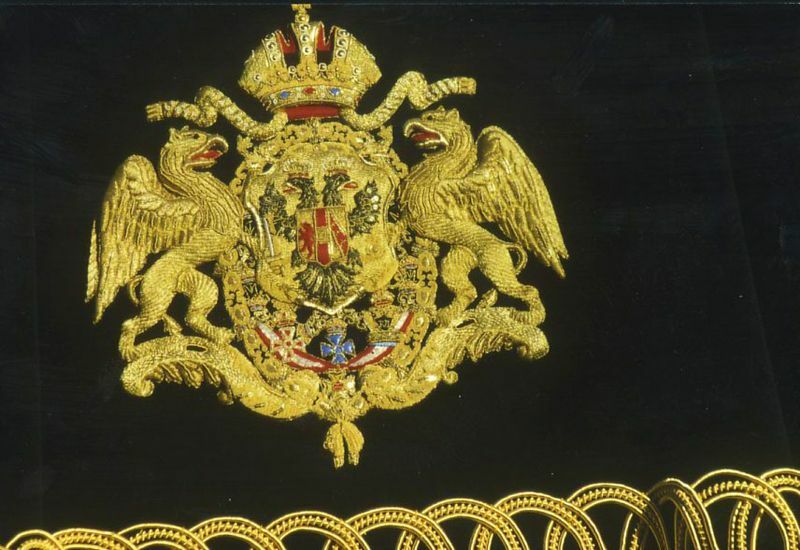 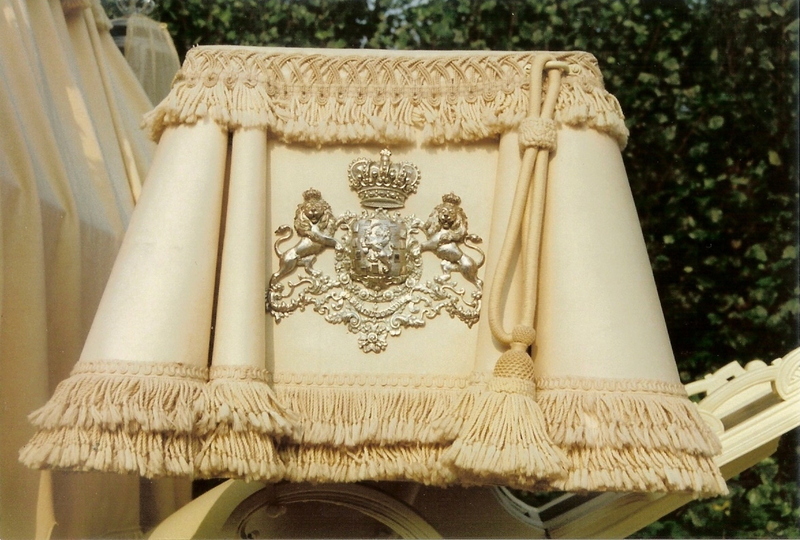 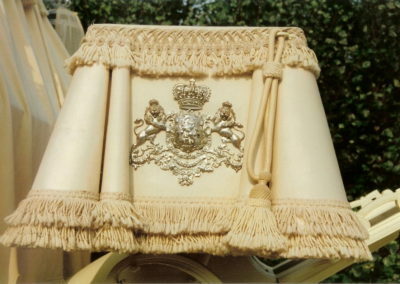 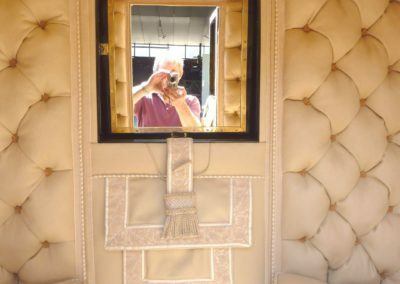 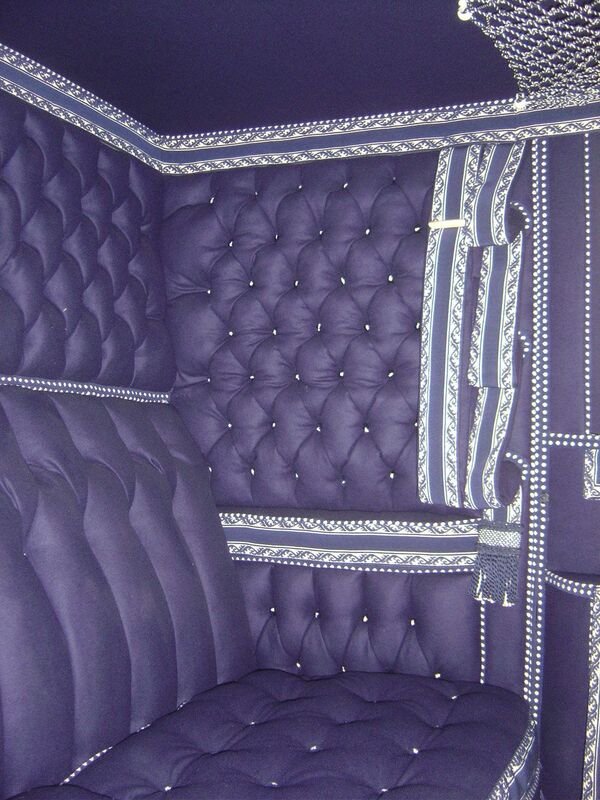 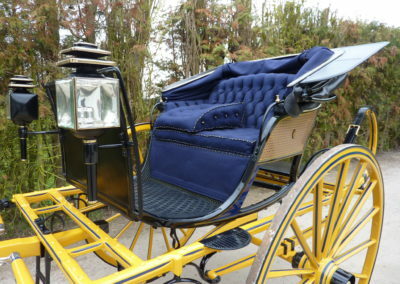 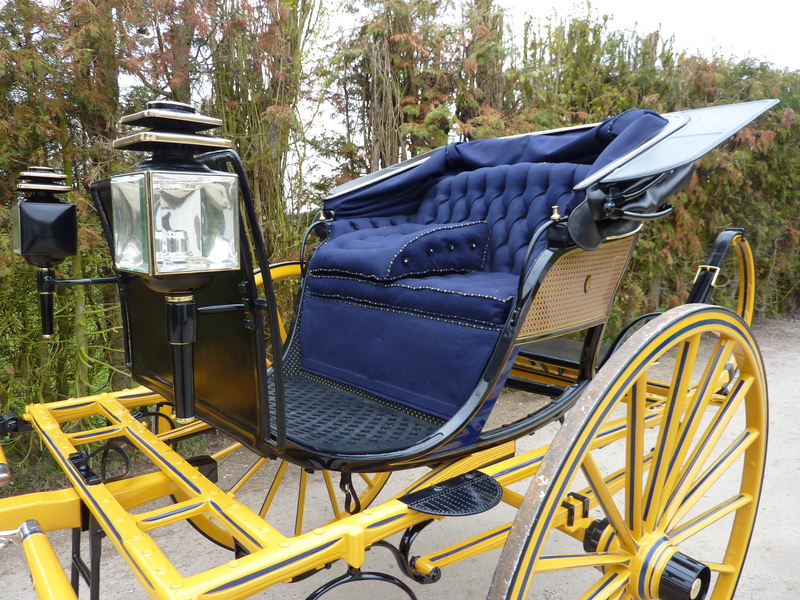 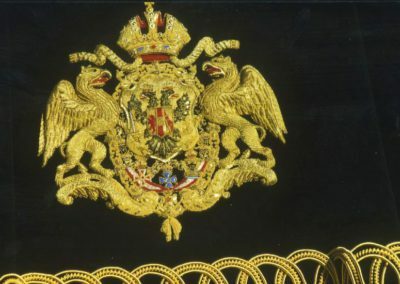 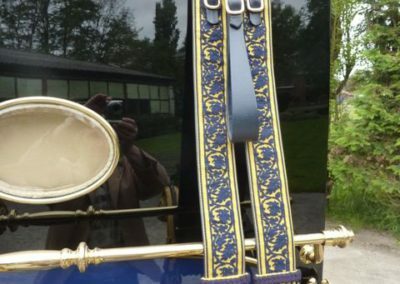 Only the best quality wool cloth, silk, Bedford cord, tapestry, velvet, real leather… are used to finish our carriages. 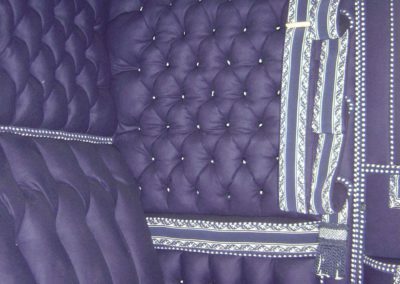 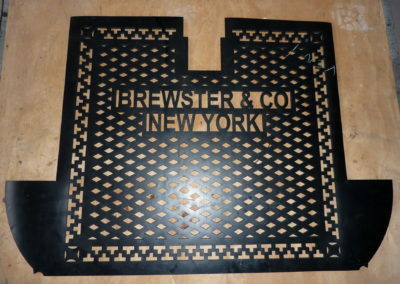 We are able to reproduce to order any cloth to match your antique upholstery. 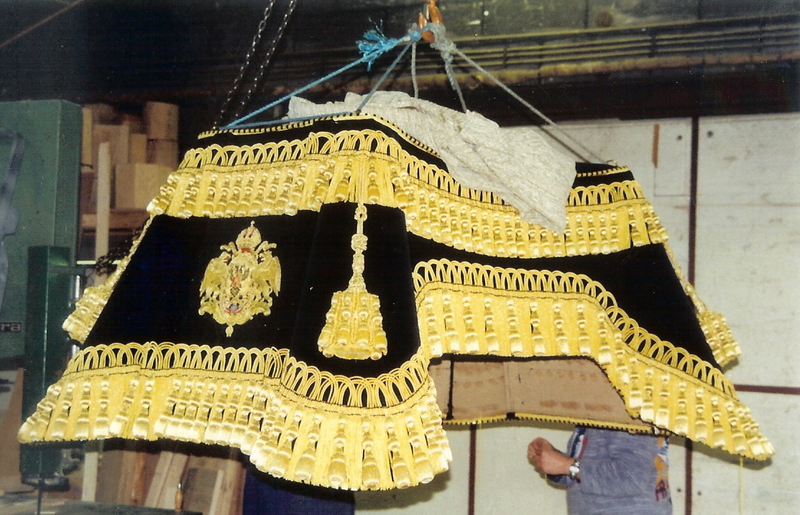 Authentic pasting, piping, broad lace and all kinds of passmentry are a speciality of the house. 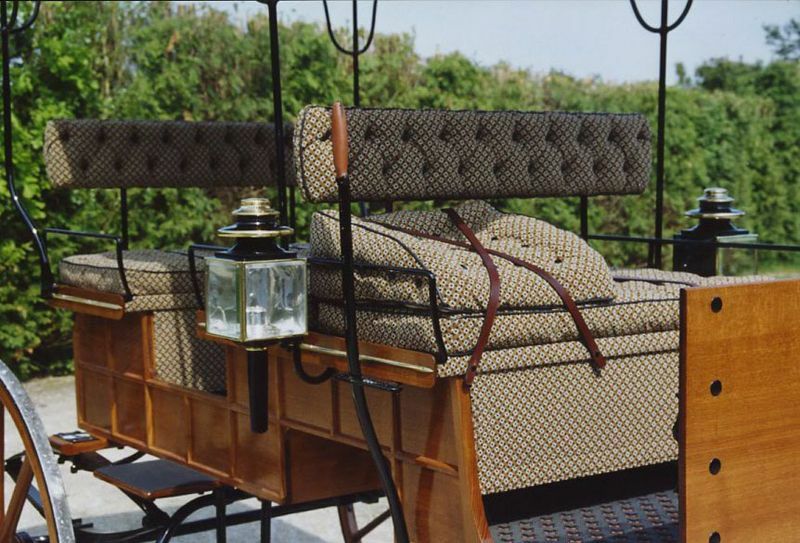 Horse hair and sea grass stuffed cushions, woollen carpet woven after old patterns, ivory fittings, calling card cases, an endless variety of linoleums, rubber mats stamped out with an antique design… all antique upholstery can be restored or reproduced by our craftsmen with only one aim: Render your valuable carriage its original appearance!